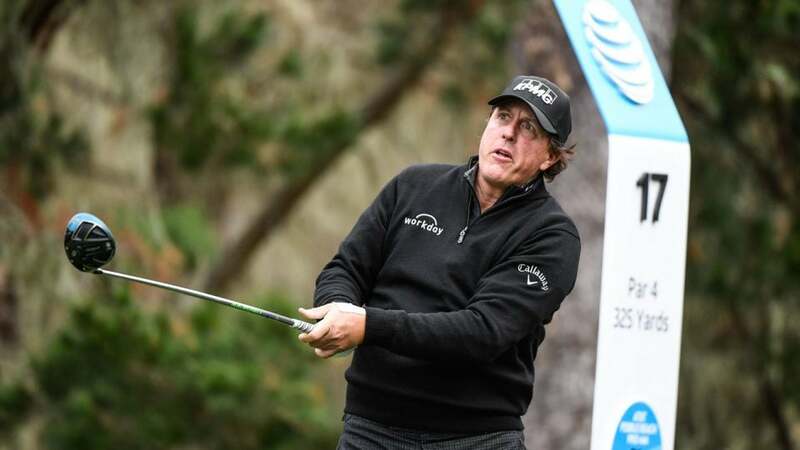 Phil Mickelson hits a drive during the second round of the 2019 AT&T Pebble Beach Pro-Am. Father Time seems to be taking some time off when it comes to Phil Mickelson. The 48-year-old pro is tied for the lead at the AT&T Pebble Beach Pro-Am, and on Friday he revealed that his driver swing speed recently jumped an incredible 6 mph at the beginning of the season. And it happened ‘overnight’. Mickelson fired a four-under 68 at Spyglass Hill on Friday to grab a share of the lead before the second round was suspended due to rain. After his round, Phil was asked what changed from last year that is giving him so much confidence in his game. That’s when Phil dropped this unbelievable nugget. It goes without saying that he’s right when he says that this just doesn’t happen to older players. So what happened with Phil? I’ll the leave the swing experts to investigate that, but there is no doubt Lefty has seen a transformation on the course in 2019. Though he won the WGC-Cadillac Championship last season, that win marked the end of a five-year winless drought. Of the 24 events he played, he only finished in the top 10 six times. But 2019 has been a different story. Mickelson nearly fired a 59 in the first round of the Desert Classic. He finished T2, but only after Adam Long drained a long birdie on 18 to win. He missed the cut at last week’s Waste Management Phoenix Open, but he’s got a great chance at victory again this weekend at Pebble Beach. Clearly, the increase in driver swing speed is paying off for Phil, and he is excited to see what comes of it over the course of the season. Mickelson will begin his third round Saturday at Pebble Beach Golf Links once the rain-delayed second round has been completed.